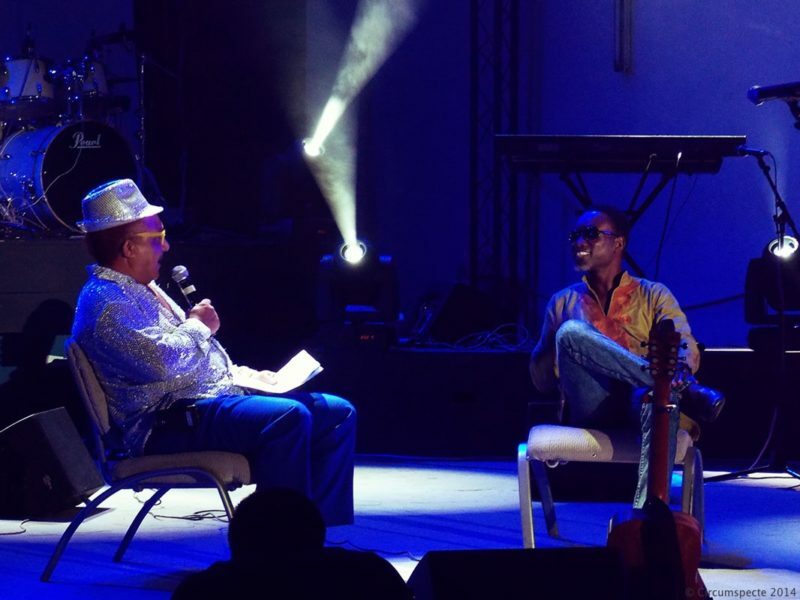 The show was emceed by Apple Jackson and Ice Cool Purified Water CEO Arthur Richardson, popularly known as “Kwame Ice Cool”. They began by introducing the artiste: A born performer, Wiyaala began singing at five years and was determined to make a profession out of it. Her list of accomplishments is testament to how far she has come since: finalist on The Stars of the Future Competition; Winner of Vodafone Icons (as part of a group called Black and Peach); All Africa Music Awards nominee; the face of Pepsi in Ghana and a guest feature on the BBC World Service Global Beats programme. Using Wiyaala as a prime example for why you should follow your dreams, the emcees likened her to Grace Jones, Tina Turner, Miriam Makeba, and Angelique Kidjo – legendary female artists. This raised my expectations for the headline artiste and I was not disappointed! “Creativity does not depend on size. Starts small but does not remain small. Spread your wings and fly” – Apple Jack. 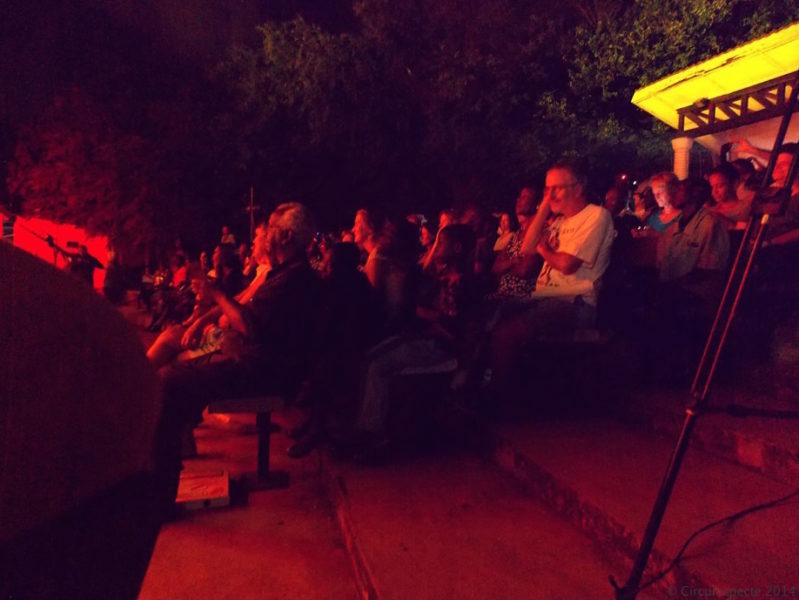 In preparation for the main act, the audience was treated to a reggae-inspired rendition of John Legend’s All of Me by Addo World who later performed his single Game Over; a groovy 1990s-inspired R&B love song that reminded me of Horace Brown. Then, the Djimba World Band warmed hearts with a jazzy, expectant, simmering interlude; blending Osibisa’s Welcome Home and creating the perfect mood for the main act. Suddenly, in the darkness, high on the lighting frame, illuminated by the spotlight was Wiyaala. For her opening act, Wiyaala sang Tinambanyi (Here We Come); the first track on her self-titled album. A euphoric song, complemented by two exuberant dancers clad in traditional garb. The audience was transfixed in their bewilderment, as she directed the band and matched the switching tempo of the song. From that moment, I knew she was not your average African singer. 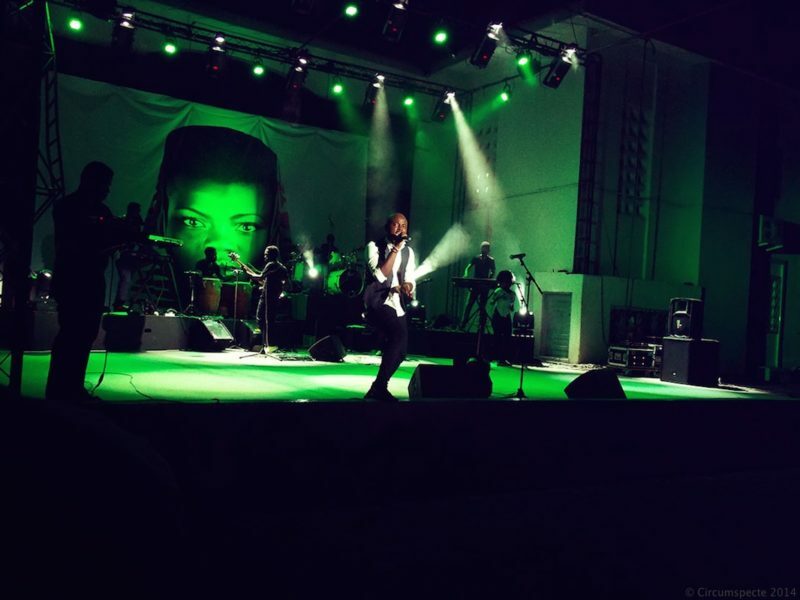 The level of sophistication in the song recreated by her band was unrivaled in recent Ghanaian music history. Playing the acoustic guitar, she performed Africa next as a passionate appeal to continental peace, followed by Leno (This Place), one of few love songs on the album; laid-back and soothing. This song truly depicted the fact that music has no language. You did not need to understand her lyrics to feel the deep emotion in the song. 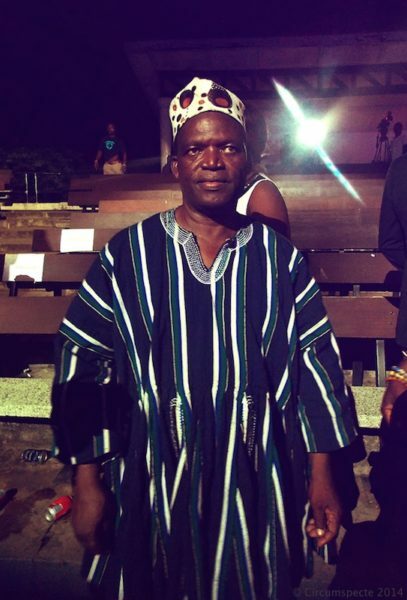 To the surprise of everyone gathered, including her team, Wiyaala invited her parents to join her on stage. Together, they performed what she described as a motivational song titled Give Your All to God. It was moving seeing her mother sing as her dad danced. In my opinion, it showed how important it is to have your family supporting you in whatever endeavor you undertake. The song Bunsun (Good Things) hinted at cross cultural, afro/Latin influences and was accompanied by a salsa interlude that served as a fitting choreography mimicking the teasing nature of dreams. As the night progressed, the show became more cinematic thanks to Wiyaala’s troop of exuberant and talented dancers. They helped bring the lyrics of the song Peace to life; a fitting tribute to the theme of unity and togetherness which permeates the entire album. Siiko (Come! Let’s Go), presented as a performance art film, was inspired by the Akan Adinkra symbol, Sankofa. In their own element, the troop portrayed the treasured value of integrating new knowledge with the old to foster progress. Then, Noella Wiyaala introduced the members of the Djimba World Band to her overjoyed guests. The atmosphere was lit, and the real party began. They performed live remixes of smash hits from artistes she looks up to, including Angelique Kidjo’s Agolo and Thank You Mr. DJ by Yvonne Chaka Chaka. It was clear which musicians had played a telling role in molding Wiyaala’s authentic afro-pop sound. Wiyaala and her band also brought it home by recreating songs from Ghanaian artistes Castro, Shatta Wale and Joey B and leaving an unmistakable traditional mark. 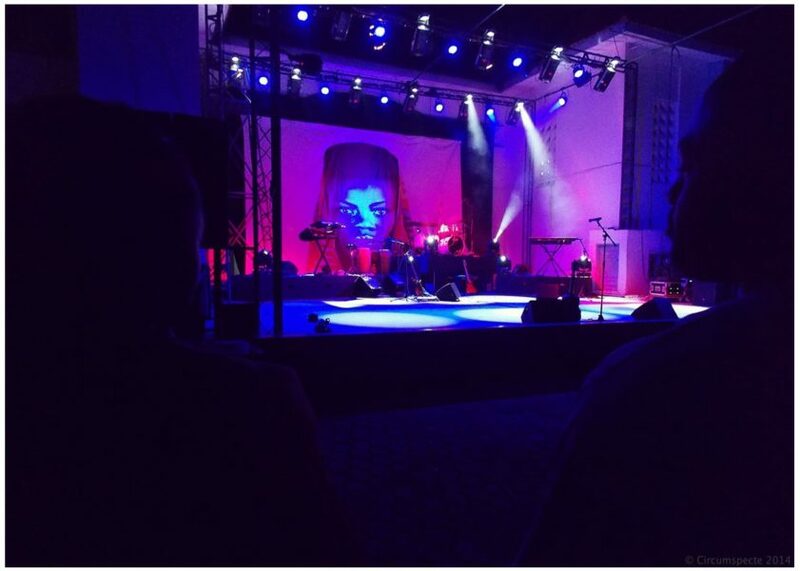 At this point, everyone was on their feet jamming to the electric vibes of good African music. 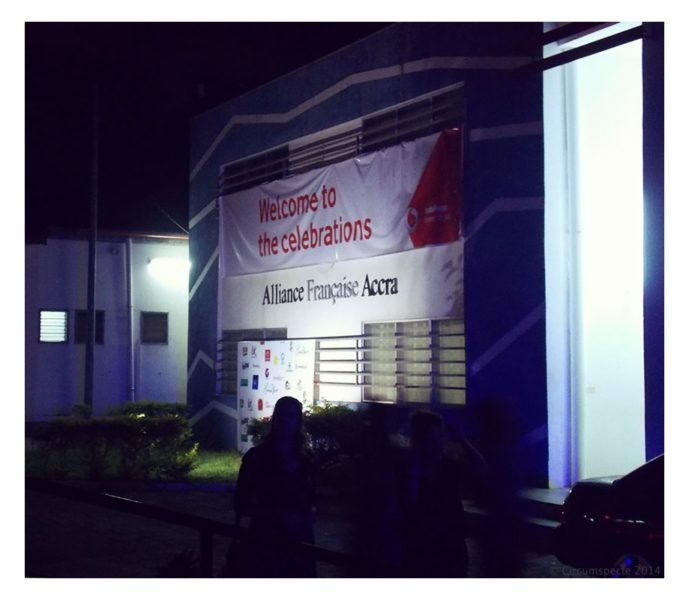 A defining feature of the show was how Wiyaala made the show about more than herself. 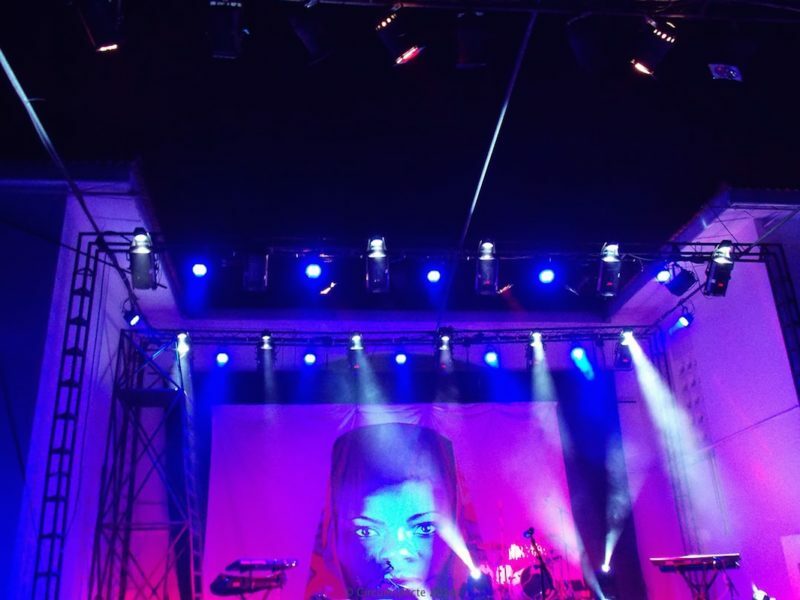 Despite the monumental self-portrait hanging behind the stage, she used her platform fashioned at Alliance Française to showcase other gifted performers. 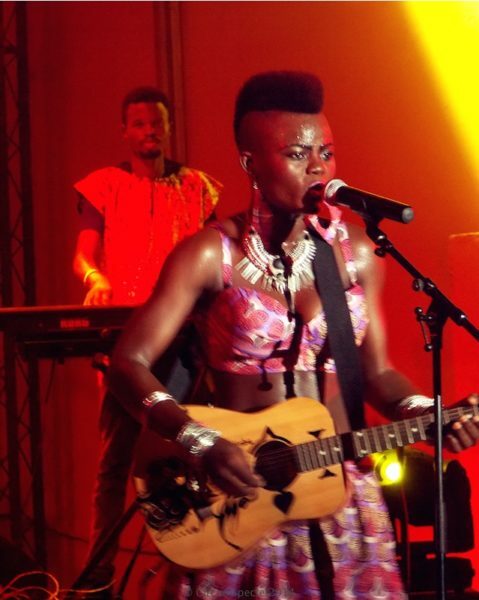 By inviting the contestants of the ongoing Vodafone Icons reality show to perform her breakaway hit single Rock My Body; Wiyaala demonstrated her solidarity in their struggle and her interest in supporting them. The closing act was special and felt like the closing scene of a 1980s Hollywood chick flick. Surrounded by her fans, Wiyaala sang Tina Turner’s Simply the Best and together, they swayed from side-to-side and screamed out the lyrics of the chorus. Like wildfire, Wiyaala had won over many hearts. Sean Nii Odoi Manieson, co-founder of the music enthusiast group 671829, expressed his pleasure with the concert, admitting that he did not expect this level of sophistication from a Ghanaian artist. Her energy and intensity was so electrifying that he was “tired for her” and he coined the phrase “African Gypsy” to describe her bohemian style. Kwame Ice Cool who described himself as a founding believer in Wiyaala highlighted the important role her management team played in helping her become the stellar artist she is today. He was proud to have witnessed and been a part of her progress. And so it is. Her album is a culmination of a year of perseverance and constant learning, one that has transformed her from the novice she used to be. Her incredible performance won her many new fans, including myself. To say she is destined for greater things would be an understatement.